The self-proclaimed Idea Man, Paul Allen founded Microsoft with Bill Gates in 1975, but could not be held to one company. In 1983 Vulcan, Inc. was founded for the purpose of promoting whatever sprung to Allen’s mind, or so it seems. Vulcan, a nod to Allen’s proud geek background, focuses on everything from technology investments to owning movie theaters, as well as managing Allen’s significant philanthropic interests. Overall, Allen is credited with giving away more than $1.5 billion to charity in his lifetime. The philanthropy branch of Vulcan includes six programs, most of them promoting and bettering the lives of Allen’s local community in Seattle. The Allen Institute for Brain Science is an independent research organization that conducts cellular studies on the brain and freely distributes findings and information worldwide. The goal of the foundation is to raise the understanding of brain disorders and promote cures and treatment. The Paul G. Allen Family Foundation awards grants to nonprofits in the North West region of the United States that have proven to have an effect on local communities. The Experience Music Project and the Science Fiction Museum are fun educational destinations at the Seattle Center that aim to create awareness and inspiration for future artists and scientists. Vulcan Community supports philanthropy of its staff and participates in community events. Allen also funded a STARTUP Museum inside the New Mexico Museum of Natural History and Science. Allen and Gates started Microsoft in Albuquerque before moving the company to Seattle. 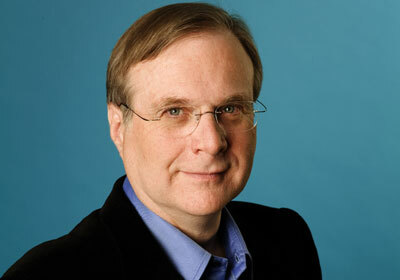 Paul Allen still lives in Seattle and is famous for his wide range of interests and pursuits. He has made his collection of World War II fighter planes available to the public, as well as his vintage collection of computers and technological equipment. He owns the Seattle Seahawks, The Portland Trailblazers and partially owns the Seattle Sounders. He is also an accomplished film producer and author.